Experienced HVAC installation contractors like A-1 Comfort Care Heating, Cooling & Plumbing would advise you troubleshoot the thermostat first. This component is the control center of your heating system so any problem with it is going to affect the rest. First of all, make sure your thermostat has power. A digital model has an electronic display that shows information. If it’s blank, check if the main power source is off. If it’s battery-operated, install fresh batteries. To experts in furnace and air conditioning repair services, an old-fashioned thermostat can be hard to diagnose. Normally, though, it should kick on the heat after turning it up. Your HVAC equipment should start running once the set temperature is well above the room temperature. If your thermostat receives power, check its mode. It should be set to HEAT, and its fan should be on AUTO. Otherwise, your thermostat may not signal your HVAC equipment to produce heat when desired. Sometimes, thermostats are hard to read. Some models prominently display the room temperature instead of the set temperature, causing confusion. 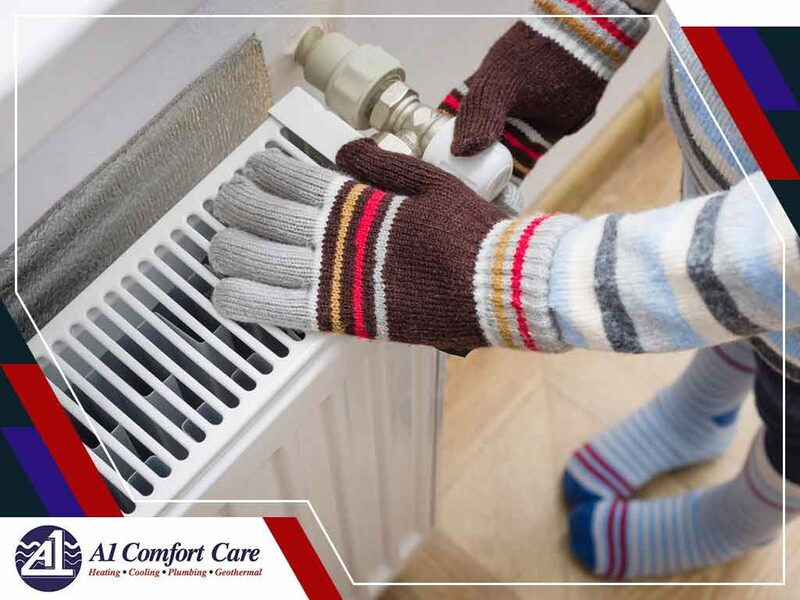 To prompt your heating system to run successfully, the set temperature must be five degrees higher than the room temperature. When all else fails, seek professional residential HVAC services to further investigate. There may be a problem with the thermostat wiring or something worse. Call A-1 Comfort Care Heating, Cooling & Plumbing at (732) 993-7200 to request for service and get a free estimate in Wall or Freehold, NJ.